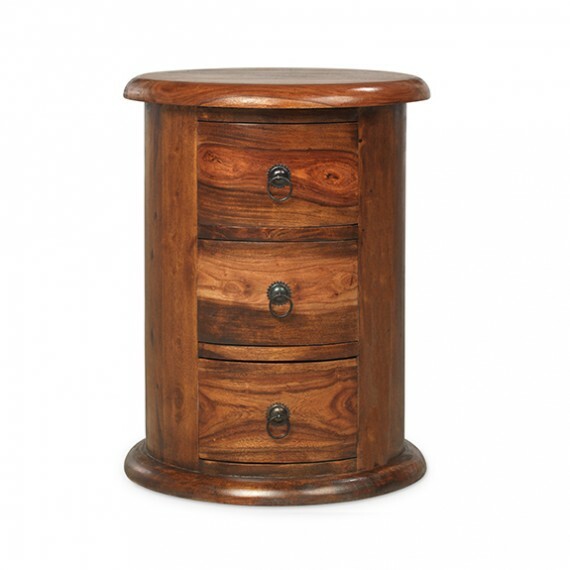 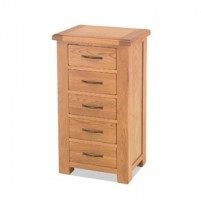 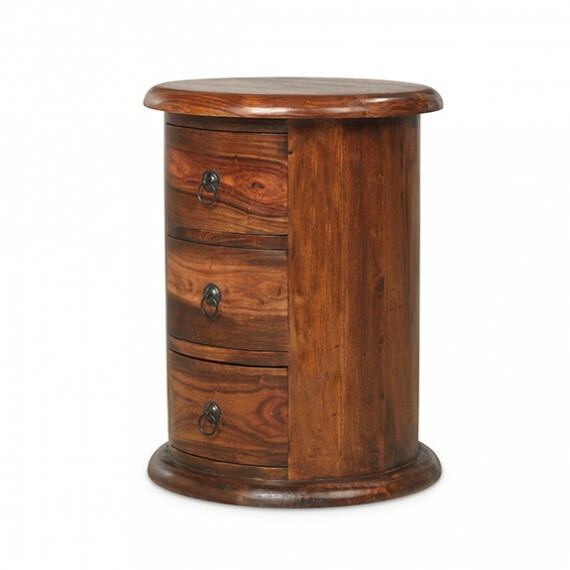 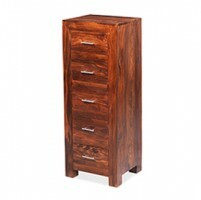 Very easy on the eye, this cylindrical chest of drawers, influenced by colonial-style furniture, is a bit different to the norm and will make a quirky feature in your bedroom or wherever you need a bit of extra storage. 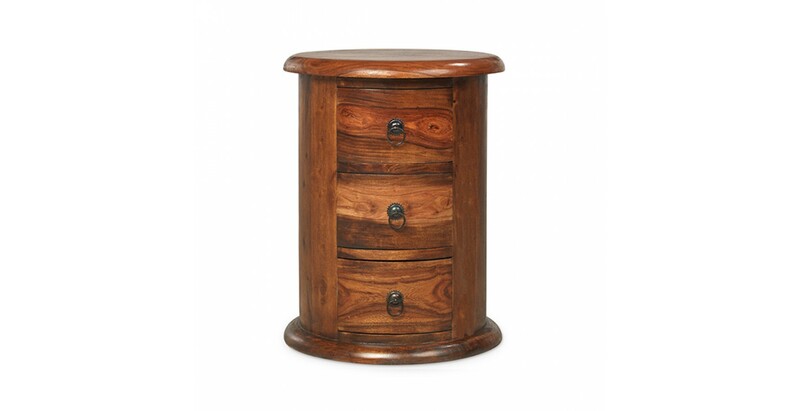 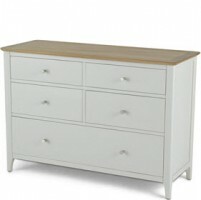 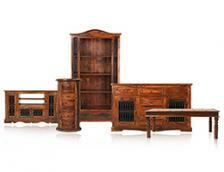 It could be a bedside cabinet or sit at the end of your sofa, for example. 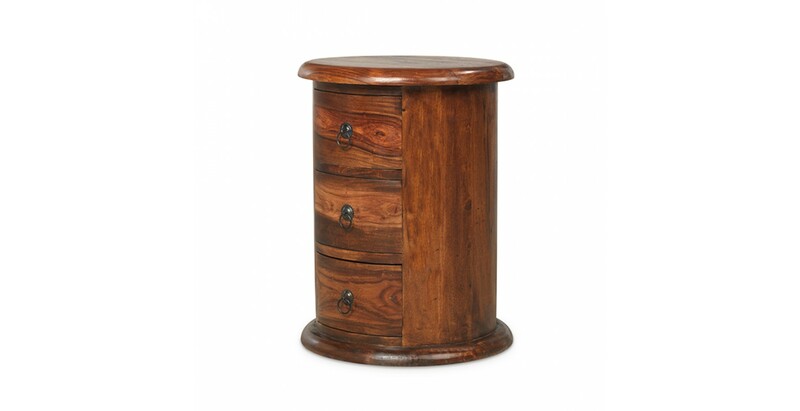 Handcrafted from dark-toned sheesham wood, its subtle variations in tone are highlighted by the Wax Lacquer Finish and the metal ring handles on the doors add an attractive traditional touch.